Months back, former supermodel Cheryl Tiegs caused a major stir when she criticized Sports Illustrated for selecting plus-size model Ashley Graham for one of three covers of its 2016 Swimsuit Issue. Tiegs specifically claimed that the magazine was showcasing a body type that wasn‬’t “healthy” and “well” (check out E! News for Graham’s response). In fact, overly general and outright ignorant claims like those made by ‪Tiegs about Graham‬’s appearance are exactly what fuels the ‪‎fat shaming‬ movement that exists today. Adding insult to injury, many other celebrities and public figures share these very sentiments when it comes to the ‘overweight’ phenotype. But, the damage is already done. A conversation definitely needs to be had about the real relevance of body weight on health status. After nearly 20 years of working with a laundry list of versatile clients, I have a unique perspective on this whole weight debate. Particularly since my latter years as a one-on-one personal trainer were spent sculpting the bodies of full-figured women who weren’t necessarily seeking to lose weight. One of my most memorable clients was a curvy plus-size model who frequently graced the pages of mainstream magazines, catalogs, and brochures worldwide. Standing 5’9″ at 240 pounds she wore a size 18 and, due to her lucrative modeling career, weight loss just wasn’t an option. Her primary goal was to maintain a “thick” but “fit” hourglass figure caring not to reduce her size to less than 16. Through a targeted resistance training program combined with short but frequent bursts of intense cardio exercise I helped her do just that. Still weighing in at over 200 pounds this woman possessed outstanding cardiovascular fitness, strength, and endurance along with a beautiful set of curves. Now, in this day and age when thin is in, this might seem quite unorthodox, perhaps even heretical. But, in all actuality, many overweight and obese people nowadays have totally embraced their size and shifted their focus to living healthier, happier lives. So, the question is: Is it at all possible to be “healthy” and “fat”? Before I even attempt to answer this question, I must first clarify my use of the term “fat”, as I’m really speaking of a state of being “over-fat” in terms of body composition. Let me break this down a bit further. Body composition essentially refers to the relative distribution of your fat and fat-free weight, the latter of which includes vital bodily fluids (blood and water) and ‘lean’ tissues (bone and muscle). Unbeknownst to many, body composition is actually a major component of health-related fitness. A “healthy” body composition is one that encompasses a low percentage of fat weight (body fat percentage) and a high percentage of fat-free weight relative to overall body weight. In this light, an ‘overweight’ person with a healthy body composition could very well be classified as ‘healthy’ in spite of their society-driven unfavorable weight status. 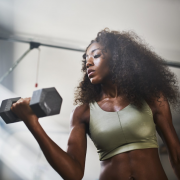 Consider my former full-figured client who was arguably more muscular than some women of thinner stature, mainly due to her rigorous resistance training routine. Compared to fat, muscle is very dense. As such, this woman’s increased muscularity, as a result of training, made it appear as if she was heavy and stocky when in reality she was just lean. Unfortunately, a generic body mass index (BMI) calculation based on height and weight would simply classify this as “fat” and, therefore, “unhealthy”. While some overweight and obese people are in fact carrying too much body fat, others may simply hold too much muscle, which isn’t at all a bad thing. Truth is, having a higher body fat percentage substantially increases the risk of obesity-related health problems like high cholesterol, elevated blood pressure and type 2 diabetes. But, this holds true even for “over-fat” people with smaller frames who generally appear to be thin. Indeed, one in four thin people have pre-diabetes and are classified as ‘metabolically obese’. In the case of my former client, it’s better to be overweight (albeit misclassified as “fat”) but “fit” than thin and “unfit”. Personally, my body weight is heavier than ‘normal’ and according to the BMI scale I’m also ‘overweight’. Still, through regular exercise training and good nutrition, I’ve been able to maintain a healthy body composition for nearly 20 years and am, by all measures, extremely physically fit. I can outrun most petite women and even out lift some men. So to the question of whether or not it’s at all possible to be “healthy” and “fat” my answer is simple: It isn’t. But, it’s way more complicated than superficial bias! 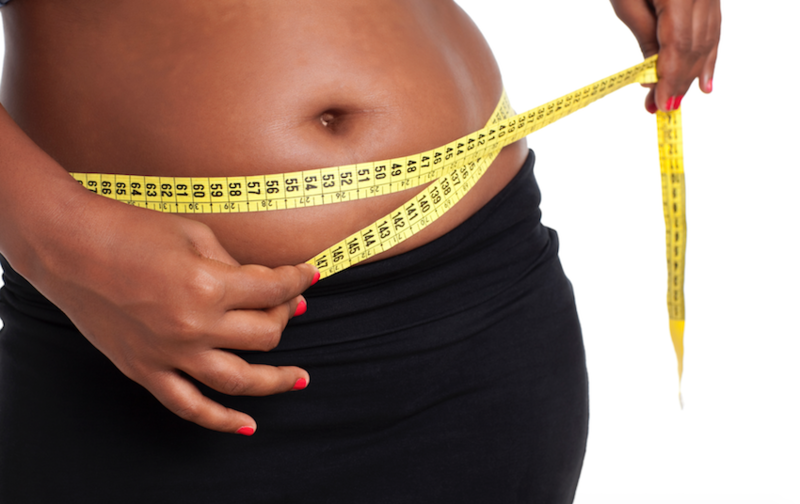 Related Article: Fat-Shaming: Are Legitimately Unhealthy Fat People Hiding Behind the Term? Whether you’re thin, overweight or obese, holding on to excess fat inherently puts you at increased risk for chronic disease. It’s also important to understand that, excessive dieting or calorie restriction, exercise, supplement use, and other extreme weight loss measures can lead to a whole other set of health problems in the long-term. At the end of the day, using the body weight reading on a scale as a sole determinant of one’s health is totally ludicrous. An unfavorable body composition is the real problem here. In fact, numerous studies have shown that maintaining a favorable body composition can reduce the risk of type 2 diabetes, elevated blood pressure and other risk factors for heart disease, even in the absence of weight loss. Remarkably, such effects are largely due to reductions in body fat as a result of resistance training and cardio exercise, as opposed to simply dieting for weight loss. All things considered, being overweight doesn’t mean that you will ultimately succumb to poor health. Optimal health generally starts and ends with good nutrition and regular exercise training. By incorporating both, you will surely achieve an ideal body composition, which is a much better indicator of your health status. Is Aspartame Making You Sick and Fat? 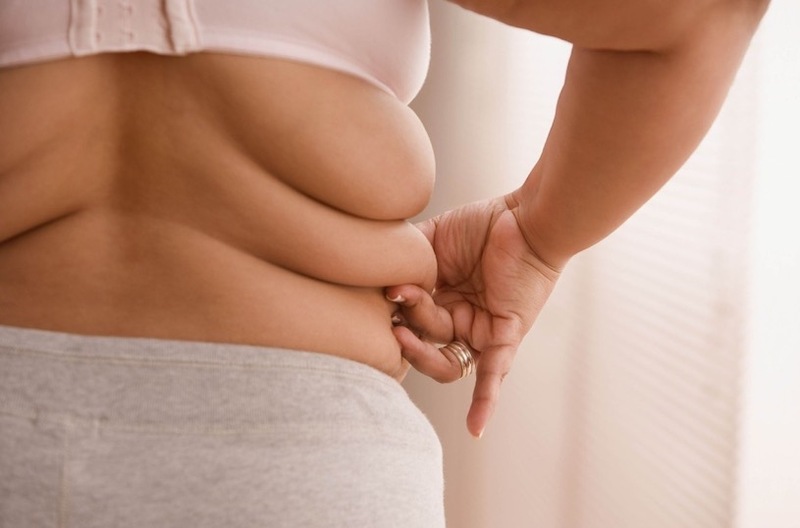 I'm In My 40s and Getting Belly Fat: What's Up With That?